… The purpose of all this activity is not to just draw pretty pictures, but to provide a solid set of prioritized recommendations for what changes need to be made to existing activity systems (which is a prerequisite for defining what information systems are needed to support those changed systems!). 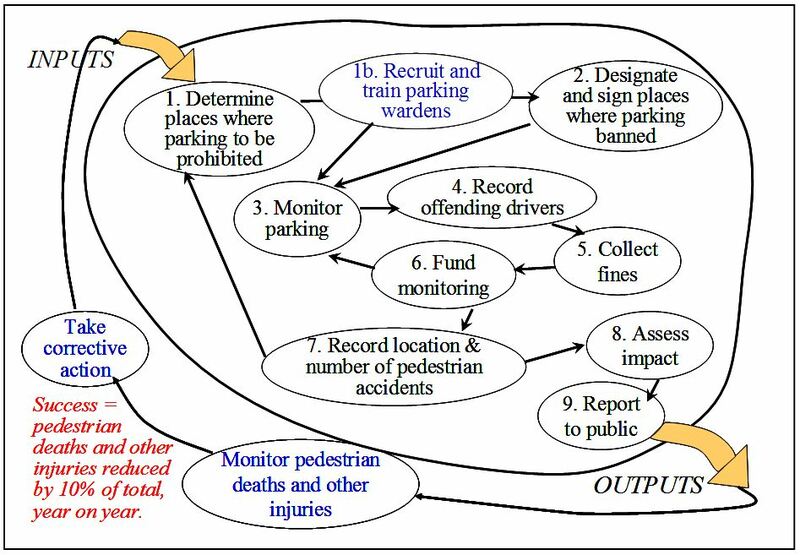 Figure 6 represents the process of SSM analysis (from a “what is modeled” perspective, rather than the seven stage process model). 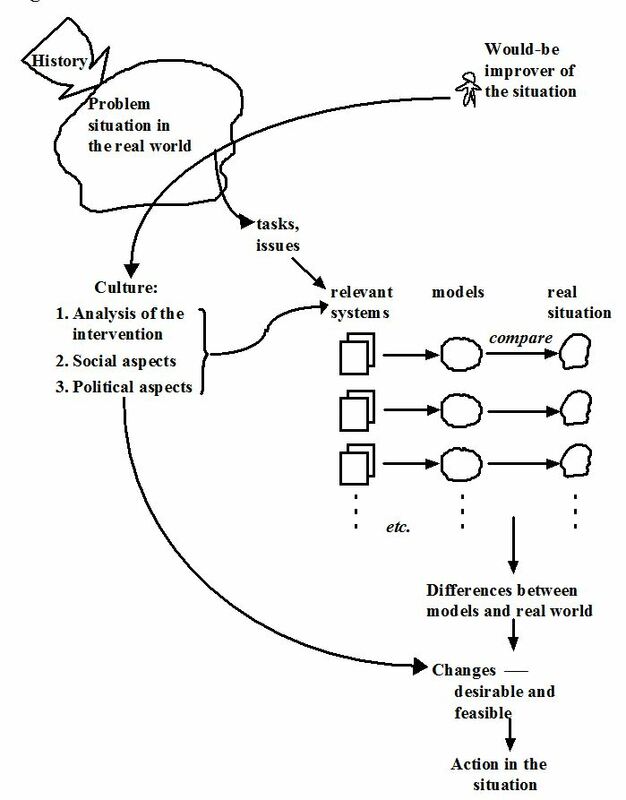 Once you become practiced with the approach, you will notice how useful it is to include social and political aspects of the problem situation in your analytical models. Now our task is compare system models of the real world with what happens in the real world. It is helpful to involve participants in this process. These steps depend on iterations of determining what is not done (or not done well), what is not communicated in the way required (i.e. information-flow between activities is missing), or what is not monitored appropriately. 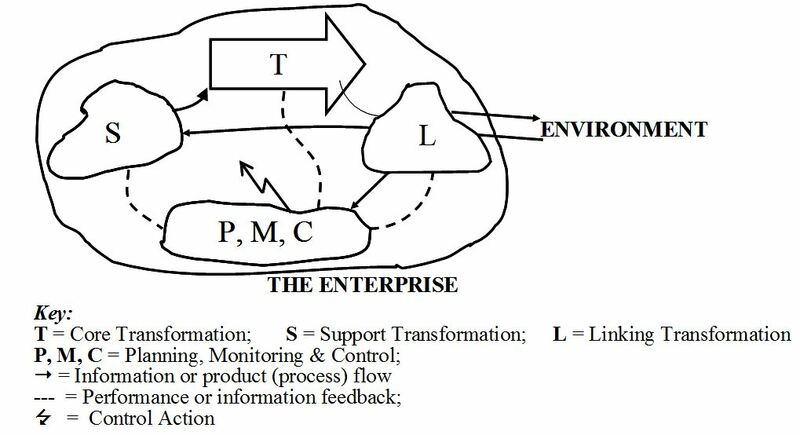 The success measure defined for each transformation should be monitored, as shown in the conceptual model above. The blue activities in the conceptual model represent activities that are not currently done. 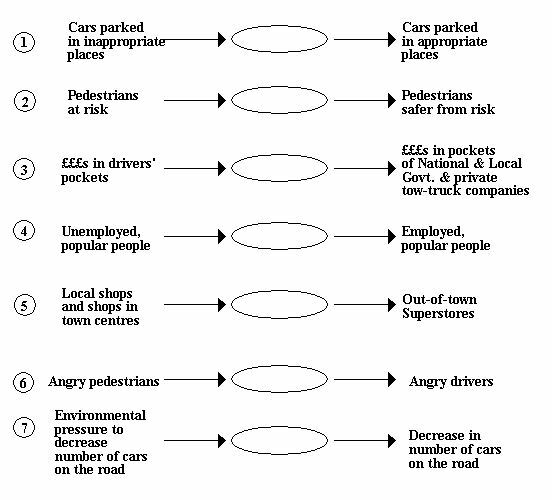 This is where feasibility is considered: how and can these activities be performed effectively? What should be fixed first? The “take corrective action” activity is complex and may suggest a new transformation that needs to be modeled as a whole, or it may relate to another transformation that was already modeled. To analyze priorities for change (and to analyze missed synergies between the subsets of activity), we can assemble a “bricolage model” from various transformations. 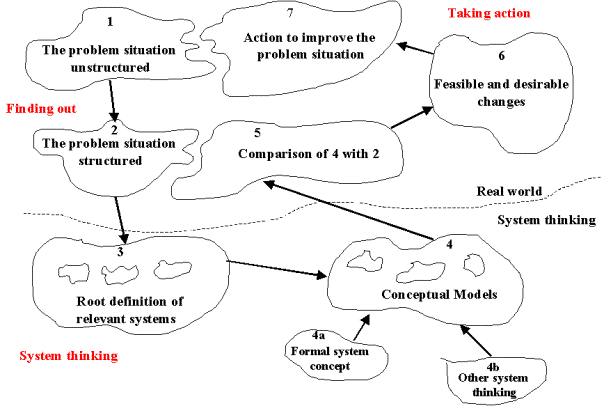 Each process in model above represents the T from a single Transformation (purposeful sub-system), as modeled in step 2. When we assemble the system of systems, we have the requirements for an integrate IT system to manage the complex situation. Each of the conceptual models can easily be modeled as a use-case, to define system requirements in detail.